For the past years, the price of gold has been steadily increasing, and has been nearing an all-time high. Thus, a lot of market insiders have been saying that these days would be a good time for selling gold jewelry to make a good profit. However, be warned that not every buyer will be offering to buy your gold jewelry at a fair price. Thus, you need to be more knowledgeable of your options so that you can make more money in selling gold jewelry. Take extra caution before emptying your necklace display stand and cash in on your investment. Perhaps the most popular manner of selling gold jewelry is to sell them to antique jewelry dealers in exchange for cash. Your evaluation skills will be put to the test here as you will not really be sure if the pawnshop or jeweler will be giving you the best price for your jewelry. You need to know how to negotiate so that you will get the selling price right. If your jewelry has an appraisal, make sure to have it handy when dealing with the jeweler. At a pawnshop you will have the option of buying back the jewelry if you opt to do so. Otherwise, be ready to sell your jewelry at scrap price. With the popularity of the Internet, selling products though auction websites has also been a welcome option. Buyers can bid for your gold jewelry up until you deem to get a good price. Just make sure that you present your pieces the best way possible through high quality necklace displays. However, if you think that only buyers get scammed for not getting the merchandise they bid for, you are wrong. Sellers can also be scammed by unscrupulous buyers. It is best to consult someone well-versed in the ins and outs of bidding websites so that you will not get duped. Auctioning for your gold jewelry can also be done physically. You will have an auction house and an auctioneer work for you. Make sure that you know the approximate resale price of your item, and if the auctioneer thinks that the item will sell or be at least near the price, to level off expectations. Make sure you are ready with your appraisal documents. 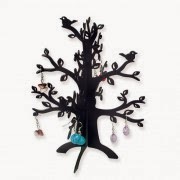 This Halloween, give your booth or jewelry store a "spooktacular" display by incorporating one of our wire tree jewelry displays with some Halloween extras for a festive. fun look! 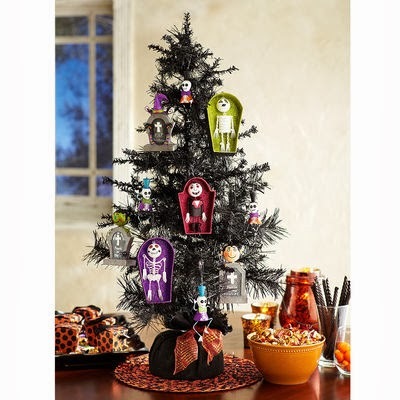 We got inspired from a home decor idea of a clever halloween inspired christmas tree and through it would be a neat idea for a jewelry display too! 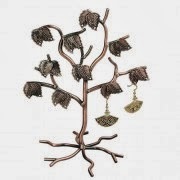 Our version is taking a practical tree shaped jewelry stand and adding extras to make it appropriate for the holiday. This is a great way to tie in your fall jewelry pieces with a Halloween look. You can hang your Halloween colored jewelry pieces from the branches and arrange the branches in a way that will add character and style to your display. We recommend using fall elements to tie in the tree to your display as a whole. Feathers, twine, leaves, and pumpkin colored Swarovski crystals are a perfect fit. You can also get creative with acrylic paint and paint your wire tree metallic shades. This idea is a fun way to display your Halloween jewelry and you can also reuse the display to display future holiday jewelry as well! Sterling Silver or White Gold? Investing in jewelry is one act that a woman can make without any regrets. Who would when you can use your investment and enjoy it while it is still in your possession? This tangible thing is one investment that you can clearly enjoy using. So when you see your wife or girlfriend checking out those in the necklace display area of the store, do not be worried as she is thinking of what to invest in. Most of the people who invest in jewelry prefer to purchase those that have metallic settings or those with precious stones. The common ones are white gold and sterling silver. These two are always mistaken one for the other. White gold is an alloy which is a mixture of gold and another precious metal. The addition of the other metal takes away the yellowish tint that gold is known for. Sterling silver on the other hand is a different metal and is considered to be the highest grade of silver. Both are considered precious metals, and thus their prices make them very good investments, aside from looking great too. Both sterling silver and white gold are commonly used for jewelry pieces like rings, necklaces, and pendants. Obviously, they are different metals. Sterling silver tends to tarnish faster than white gold. They have different values as gold is more expensive than silver. Thus, white gold is still more expensive than silver. Sterling silver can be used in other items like pill boxes, jewelry boxes and napkin rings, something that white gold would also could be used for, but would be more impractical since it is expensive. Depending on the budget, one can choose between a necklace display with white gold or sterling silver. They both look good especially when the craftsmanship is superb. Whether your business is a B2B or you sell at jewelry events, having the perfect melody of earrings, bracelets, and necklaces in with your fashionable merchandise is key. You want to make sure that your product mix but also make sure that you have the best jewelry displays to really make your selection stand out. We recommend giving your jewelry displays character and beautiful aesthetics by mixing objects that can make your display have a rustic, fall appropriate feel. Have you ever considered adding some rocks, gems, or twigs with leaves? These small decorations can add a unique flare to your otherwise conventional display. This additional sparkle and decor can work for any type of retailer small or large. Our selection of wire earring and necklace displays can help add a shabby-chic rustic feel to your displays theme. You can be creative with our wire displays and spray paint them a metallic hue for a special pop of color on the table. Mix and match the height and style of your risers and add a fun background. This can be a cityscape, autumn falling leaves, or a gradient color. 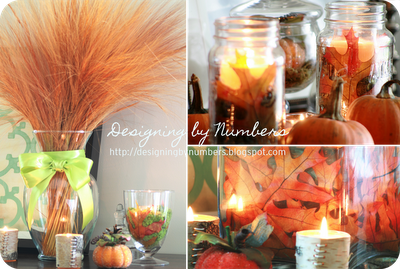 Autumn is all about nature, by incorporating elements of the fall into the overall look. Be creative, it doesn't have to be expensive. We have an excellent selection of twine, feathers, and beads that can be used to create a lovely rustic feel. Categories: Autumn, Bracelets, Display ideas, earrings, Fall, jewelry displays, Necklace Displays, Nile Corp.
Necklaces are one go-to accessory that you must have in your jewelry collection. It can easily dress up an otherwise plain-looking outfit. You can easily mix and match it with other pieces as well as use it with any outfit that you have. Those pieces that you see in the necklace display section of your favorite store should be given a chance to be worn. Beaded necklaces are very versatile. You can wear them in different lengths and there would be no problem layering them as each piece can stand out. Another great thing about beaded necklaces is that they are easy to maintain. You just have to wipe them out with a clean cloth before storing them back to the hanging racks so that they will maintain their color. Alas, beaded necklaces have a certain elegance and sophistication and yet maintain a certain simplicity, depending on the material the beads are made of. 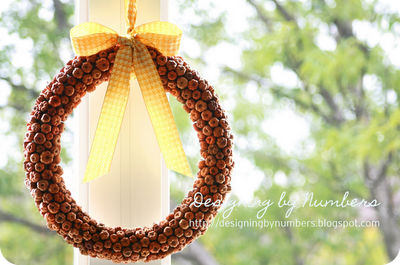 · Match the size of the beads with the body size of the one who will wear it so that it will be proportional looking. It is best to match small beads with someone who is petite so that it item won’t look heavy. Pieces with small beads worn by someone who's tall and curvy may make the necklace look like a choker. On the other hand, if a necklace with large beads is worn by a woman with a small stature, the necklace might look like it swallows it wearer. · Make sure that the length will be proportional to the neckline. Long beaded necklaces can be used and would look better with outfits that have plunging necklines. · Colors to use will depend on the color of the outfit depending if you want it to match or be in contrast. · Be wary of the weight of the necklace so as not to tire your neck. Some layered beaded necklaces can weigh so much that they can actually cause discomfort to the poor wearer. · Do not be afraid to experiment with the various shapes of the beads that you see in the necklace display section. 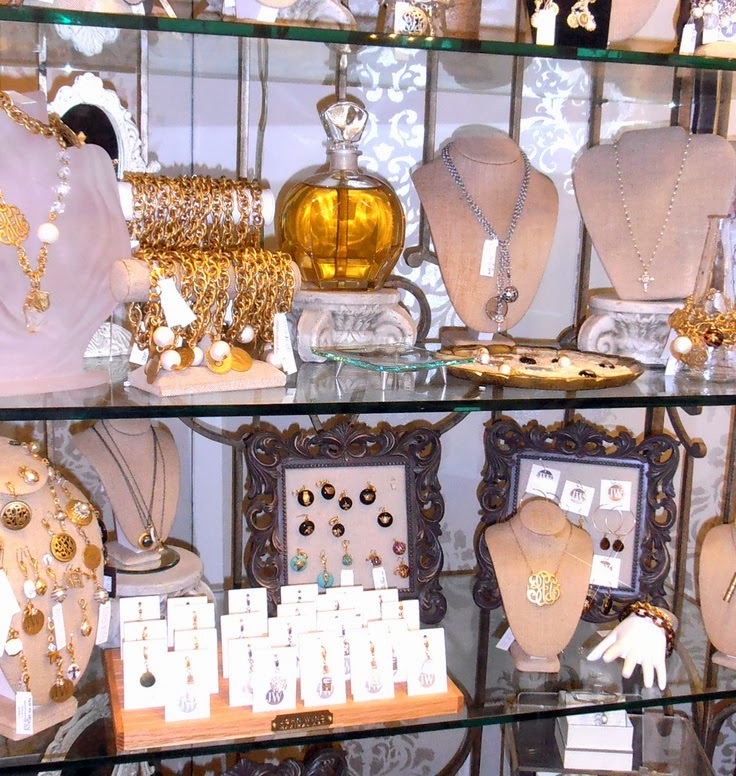 If you own a jewelry store, chances are you know the importance of having the right display cases. Cases like necklace display, earrings racks, and bracelet displays, among others are essential in your pursuit of selling more jewelry and in turn, increase your sales. These items help in showcasing the best items that you have in store for the customers, as they can easily see the items if they are placed in these jewelry displays. There are a lot of display cases that you can utilize. They are made of different materials, which means you can customize your display depending on your theme. The kind of display case that you use for your necklace also depends on how you want to display your necklace pieces. You can be creative as you want to be. For example, necklace busts some of the more common ones that you see in jewelry stores. A necklace bust is usually covered with velvet cloth to protect the necklace from getting scratched. This is a nice way of displaying a necklace as the details of the workmanship can be easily inspected without having to touch the piece. Moreover, since the bust resembles someone actually wearing the necklace, the person looking at it would be able to see how the jewelry piece “falls” – how long or short it is and how “heavy” or “light” it is in terms of the design details. When using a necklace rack or a necklace case to display your jewelry pieces, your customers may view the pieces as flat, since they are just placed in the shelf of the rack or case. When a necklace is “worn” by a bust, it is easier to paint a mental picture of how the necklace looks when it is actually worn. You can easily make your own display bust with just a few materials like thick cardboard box and cutter. There are a lot of instructions online on how to go about making this. You can customize it by covering it with the cloth of your choice. It is really important to make a necklace display that is eye-catching as this will catch the attention of your buyers. This will help you increase your store sales. For ready made necklace display cases that pack a punch, have a look at available models in Nile Corp’s extensive selection. Dressing up when going out is a normal occurrence for women. The last thing a woman wants is to be seen looking like drab when going out. This is especially true if you have just something simple to wear or something in monochrome. What better way to jazz up an outfit than to add some sparkle to it with something g on your neck? This is why accessories are an important part of a woman’s fashion arsenal. These jewelry pieces found on jewelry and necklace display sections of the store are favorite places of women to visit. Social events are perfect occasions for women to dress up and show off their jewelry. This is the best time to bring out the long chains from the necklace display at home and show-off. Pearl strands are best to use when on formal occasions. When going on a night outs, you can wear those big statement necklaces as this is perfect to use with off-shoulder and tube outfits. For dainty dresses, simple chains made of gold or silver with small to medium sized pendants are perfect for afternoon cocktails. It really depends on the outfit that you are wearing as to what necklace should be worn. Other pieces you can consider are bib necklaces as well as necklaces made of natural materials. Just remember, bib necklaces are perfect for those outfits with simple necklines. Having bib necklaces while you are wearing clothes with busy necklines like draped collars would be too much, and would even make you look like a fashion victim. That would be too much going on, so it is advised to keep it simple with the clothes if you want to wear something dramatic with a piece such as a bib necklace. But that being said, bib necklaces and pieces made of natural materials are perfect for simple social occasions that you have to attend. This is the reason why it is important to start collectingvarious necklaces. Check out the items on necklace displays as you may see something that you can use in your future social events. It can level up the look of your outfit. Accessorizing is a way of life for fashionable women who are often seen around. In the world of jewelry displays, there is always room for improvement. We've seen tons of great jewelry displays over the years and decided to share some of best insider secrets to improve your displays at trade shows and store fronts. Enjoy! Place unique and eye catching displays were your shoppers tend to linger such as by the cash wrap area. Try not to make the display very overwhelming. Finding the right balance of neat and interesting can sometimes be a challenge but it's important to make the right first impression for a potential customer. Use T-bar displays to showcase new bracelets in a trendy color scheme. Showcase multiples for added impact. Since jewelry tends to be smaller in scale, you can make a more effective display is you incorporate similar bracelets or other jewelry items in the same display. Mix in props. Props are great to help you convey an overall theme. Try going for a vintage inspired look with perfume bottles, pendants, or sparkles. Put your best sellers forward. If you have a few amazing statement pieces you should display those in the center of your display to help attract people to your booth. Coordinate your signage to match your display. Your logo and signage if your brand's identity. Help define who you are in the mind's of a customer with unforgettable signage and banners. Jewelry is one item that women feel is most important for their fashion. While it may true that jewelry is not a need, it is definitely something that would add glitz and glamour to any attire. It can be considered frivolous especially for purchases that are beyond the budget, although there are affordable pieces available for sale. That is why it is important that the pieces for sale are displayed properly so that it can entice the people into purchasing them. Necklace display racks are useful especially when displaying long strands of necklaces. No customer will be encouraged to consider buying a piece of jewelry that is displayed sloppily. Those in the jewelry business know how important it is to make the display showcase an attractive one. This is where they can get the attraction of the customers into visiting the store and inspect the wares more closely. Display racks are important because it can organize the pieces in such a way that each piece can be easily seen and inspected by the buyer or customer. Display racks are not just for necklaces but also for bracelets and watches. The racks can be arranged so that all that have the same length can be grouped together. This way, the customer can easily go to the kind of necklace that she wants. Racks are made of various materials, the most popular of which are wood and metal. For those using metallic racks, they have to know how to maintain them by properly using metal polish regularly. As for wood, they have to be polished and void of splinters that may damage your pieces, especially the closures and locks. There are also racks that are made of acrylic. Be aware that this, if not maintained properly, could chip. It is best if you can have one that is personalized to your liking so that it will fit into the theme of your store. Displaying the items for sale is beneficial for the business. This way, the customers can easily see the items available on the necklace display racks and can decide right away. Keeping our jewelry neatly arranged can sometimes be hard to do. After a tiring day, we just put away our earrings, bracelets, watch and necklace on top of the dresser where we can easily find it the next day. Sometimes, when someone (a hired cleaner, for example) does a little rearranging to keep our dressers tidy, we even get a bit irritated, because most of us want to find our stuff exactly where we last left them; a sense of order amid the chaos that only we can understand. Like our closets, our jewelry displays get emptied with all our pieces scattered just about everywhere. However, we do not know that this can ruin our jewelry pieces because it can get scratched and eventually get lost as it can fall down from the dresser without us knowing it. Having a jewelry keeper can be helpful in keeping your things in order. You need not buy expensive display cases like those jewelry stores use to showcase their products. This will be impractical especially if you already have quite a number to your collection. This would mean buying a lot and spending to have your pieces organized. If you are in a budget, you can easily get necklace display stand that is cheap and affordable. You can reuse some old stuff in your house. Aside from helping the environment as you are lessening the trash you make, you also help your household budget by not spending. You can get small s-hooks and hook one side on the side of your dresser and use the other end to hang your necklaces. There are also tutorials online that you can check out for some make your own neck bust using thick craft boards. You just need to squeeze out the creativity juices from your brain. When there is a need to spend less, you will surprise yourself with the kind of things that you can do. This includes jewelry and necklace displays. They do not need to be expensive to properly store your pieces. However, the question is, are you really going to use it? Make it a habit to put all your pieces in the display after using them, not just leave them on top of your dresser or the sink. You’ll be glad you did.